Our new collection of Valentine’s Day cards are now available for purchase on Etsy and via the website! We’ve even added some cute mini cards this year–perfect for kids school valentines. 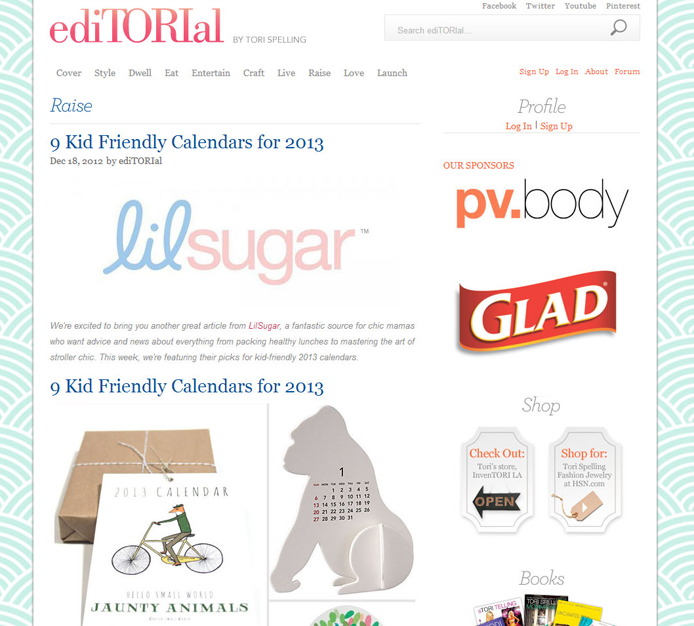 Today our 2013 Jaunty Animals calendar was featured on torispelling.com! We still have a few calendars–ready to arrive just in time for the new year!